Valley Animal Partners (VAP) is a group of local individuals interested in the welfare of pets in North Bend, Snoqualmie and Fall City. With the ever-increasing costs of veterinary care, many pets in our area don’t receive the medical attention they need -- especially spay & neuter services. We’d like to change that. Our mission is to raise funds to help Snoqualmie Valley seniors, veterans and families with limited income spay or neuter their pets. We are excited about the opportunity to work together to help people and their pets in the Snoqualmie Valley. Stay connecteed to VAP and all our events by liking us on Facebook. Pawsitive Alliance's mission is to help end the killing of adoptable dogs and cats in Washington by increasing adoptions, supporting spay and neuter programs, and improving pet retention. 4912 pets have found homes through our Adoption Events since 2005! Rancho Laguna’s HEART rescues abused equines and rehabilitates them for therapy programs. We engage our horses in the Equine Assisted Therapy to foster emotional and social growth in our clients. The horses, therapists, and instructors collaborate to create an oriented and nurturing environment and become a team with our clients. To learn more about their program, click here. A child selects a horse or donkey among those calling Rancho Laguna home. Please choose a horse or a donkey here. We then send monthly emails with highlights of the week from the equine’s life. The newsletter is filled with fun and educational info about horses and donkeys along with pictures. 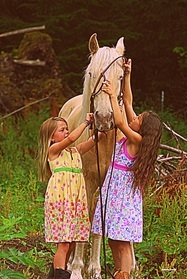 The letter is addressed from the equine’s name and will develop a lasting link between a child and a horse or donkey. The child and parents are always welcome on our Rancho to observe the adopted equine as well as feed, pet and take care of the horse or donkey if desired. Just give us an advanced notice that your are coming! The adoption fee to participate in the program is $35 a month. Invest in furthering your child’s understanding of nature while helping us on our mission. Together we will build a bridge between equines and humans. If interested, please contact us for details about our Adopt a Horse program. The Snoqualmie Valley Pet Food Bank provides low-income pet owners with pet food the first Wednesday of each month at the Snoqualmie Valley Food Bank. We provide pet food to approximately 300 dogs and cats each month - that’s equates to about 2,300 pounds of pet food! The mission of the Snoqualmie Valley Pet Food Bank is to make a difference in the lives of low-income pet owners by assisting them with pet food to feed their companion animals. The Snoqualmie Valley Pet Food Bank operates with a dedicated staff of animal-loving volunteers. The program is sustained by the Humane Society of Seattle/King County, the Snoqualmie Valley Food Bank, and by individual and local business donations. 100% of donations go directly to the pets! 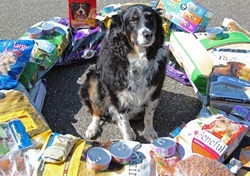 The Snoqualmie Valley Pet Food Bank is a non-profit organization of Community Connections of Snoqualmie Valley EIN# 27-5484249. No one can do everything but everyone can do something. Valley Animal Partners is currently helping to fill the pet food need in the valley by providing pet food drop off sites. Purrfect Pals was founded in 1988 by a cat lover, Kathy Centala, who took a look around at her community and saw far too many unwanted cats and kittens whose only options were, in most cases, over-crowded shelters with high euthanasia rates. Determined to open the Puget Sound region’s first no-kill cat shelter, she somehow scraped together the down payment for a modest house on 5 acres in Arlington in 1993. Room by room, the house was renovated over the years, along with its 2 unattached garages, to create our existing shelter, veterinary clinic and sanctuaries. Today, our facility has room for up to 225 cats, both short and long-term residents. Most are loose in large rooms, many with attached outdoor enclosures. We house an additional 50-250 cats and kittens in foster care, depending on the time of year. At Purrfect Pals, our highest priority is taking in the cats and kittens who need us the most..those who other shelters and rescue groups might not have the resources to help. This includes older cats, cats with major medical needs, cats with chronic illnesses (including FIV and Feline Leukemia) and those with behavioral challenges. Cats who are not easily adoptable have a forever home in our sanctuaries. We use our Tipper Fund to pay for medical expenses above and beyond the care that our Shelter Veterinarian and her team provide in our shelter’s clinic. We partner with outside veterinary specialists and surgeons to provide any care necessary for those cats with special needs.